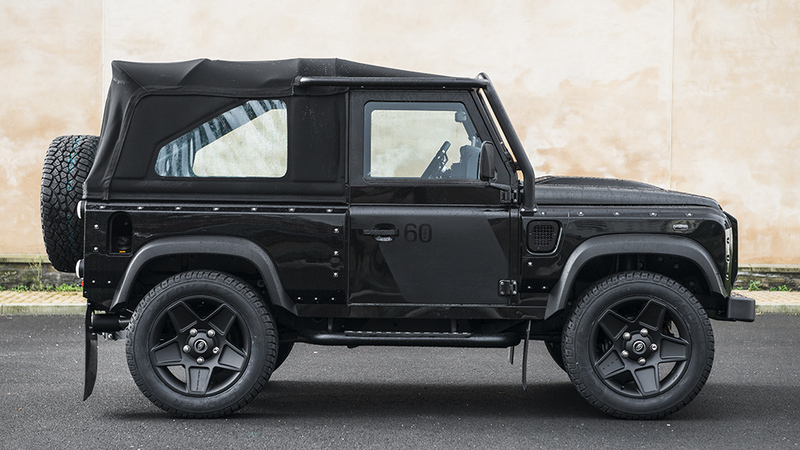 Today we are talking about the Santorini Black Land Rover Defender SVX Edition tuned by the Chelsea Truck Company! Does it sound good to you? Land Rover is the embodiment of everything that is perfect and breathtaking for the car enthusiasts. It’s got force, beauty, power and thanks to Chelsea Truck Company the ability to make those inside feel like kings while going through the deepest mud. Everything about this car screams ‘take me home.’ Let’s start with the front fascia that features a pair of military headlights and an X-Lander front grille. The Kahn fog lamps should not be ignored and neither should the bumper sump guard nor the mud flaps that have the ability to protect the car from the possible damage that comes from off-road adventures. Physical beauty is important and in this case we are mesmerized by the Santorini Black exterior which contrasts in a subtle manner with the matte black of the side steps and roll bars. And the set of Volcanic Black Mondial wheels of 9.0 x 20 (275/55/20 tires) gives the king the power to exceed any obstacle. I said exterior beauty is important. But the inside also matters. 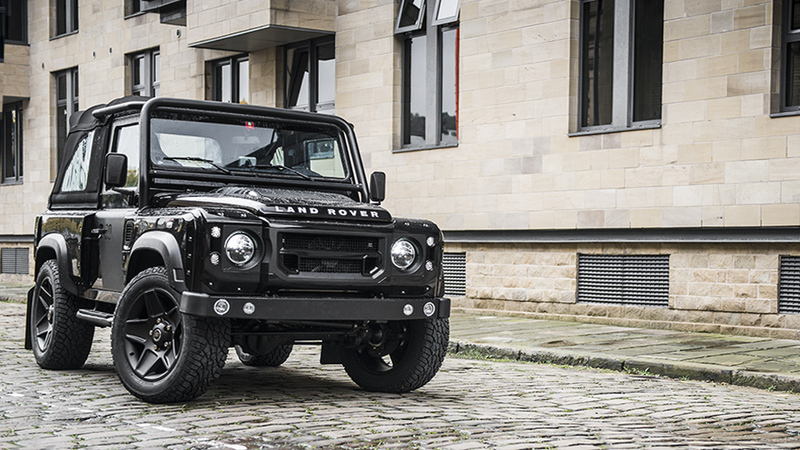 Especially if we are talking about a Land Rover Defender. This is where the magic happens. Here you will see racing seats covered by black nappa leather and Harris Tweed insertions combined with silver stitching. Say what? 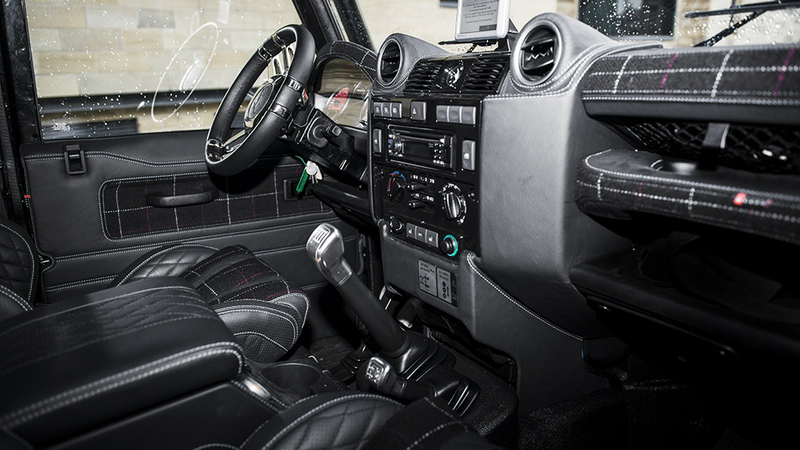 And if this is not enough this car also gets a Harris Tweed vibe on the black door panels, glove box and dashboard. The matte black center console is the drop that spills awesomeness all over this concept. And last but not least, the vented machined aluminum foot pedals complete this ultimate combo. Of course if this doesn’t convince people, buyers can also customize their car and can bring it the upgrades that seem more appropriate to their taste and needs. I am sure words cannot convince you but the pictures can do a better job. What do you say?